H&M has just closed the loop on itself. The Swedish apparel chain, which in February 2013 became the first retailer to launch a global textile take-back program, is set to debut its inaugural collection of products made from those same recycled fibers. 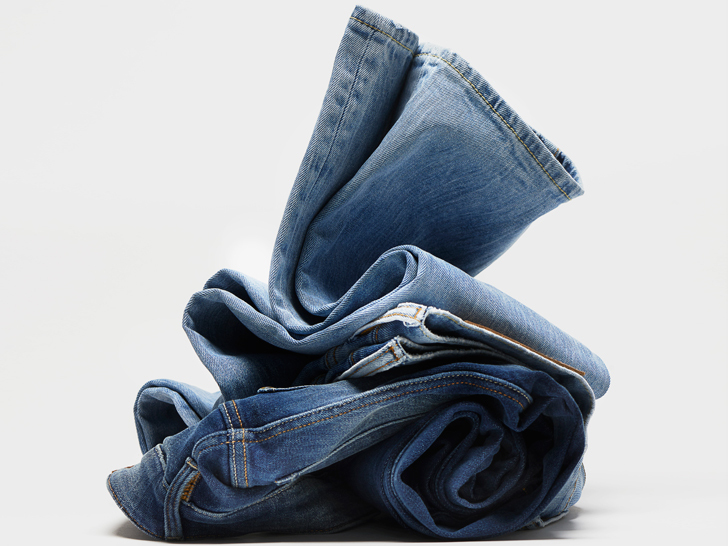 Exactly one year later, H&M will introduce five classic denim pieces, derived from recycled cotton, as an example of its "dedication to sustainability and closing the loop on textiles," it says. Available in stores in February, the upcoming range comprises 20 percent recycled cotton, which H&M says is the maximum amount that can be currently used without compromising the fabric’s integrity. Still, the retailer says its goal is to progressively increase its use of post-consumer recycled materials. H&M says its goal is to progressively increase its use of post-consumer recycled materials. H&M’s garment-collection program, the company says, offers an “easy solution” to eliminating clothes from the landfills. Although the initiative minimizes waste in the short term, H&M says it has its long-term sights on reusing and recycling all textile fibers for new use. Any proceeds from the program will benefit the H&M Conscious Foundation, where the money will be funneled to projects designed to close the loop on textiles. Cotton is a toxic plant and it is really good to see H&M starting to use it more efficiently. 20% recycled denim is a good start. 100% recycled should be the goal. Available in stores in February, the upcoming range comprises 20 percent recycled cotton, which H&M says is the maximum amount that can be currently used without compromising the fabric's integrity. Still, the retailer says its goal is to progressively increase its use of post-consumer recycled materials. “The trend is moving more and more towards working with recycled fabrics and as a designer you of course want to work with the latest trends and developments," Jon Loman, the concept designer behind the recycled-denim line, says in a statement. “It feels good to do something that both we and our customers believe in and that benefits the environment." H&M's garment-collection program, the company says, offers an "easy solution" to eliminating clothes from the landfills. Although the initiative minimizes waste in the short term, H&M says it has its long-term sights on reusing and recycling all textile fibers for new use. Any proceeds from the program will benefit the H&M Conscious Foundation, where the money will be funneled to projects designed to close the loop on textiles.